With almost any laptop and build-in cam you can organize cheap webcam surveillance. You can ask me what software you should take. Naturally Xeoma! Do you want to know why? 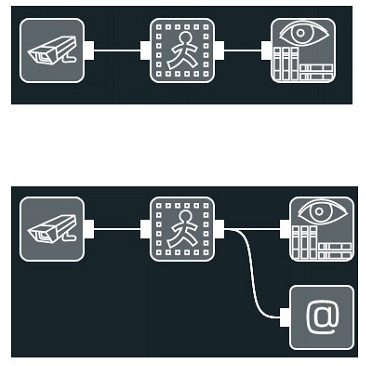 For your laptop video surveillance use our free version and connect up to 8 cams 3 modules per each chain (for example: universal camera- motion detector-archive). This chain will write to the archive only moments when motion occurs, to save the space on your laptop. Sound interesting, doesn’t it? You never know who you might catch in your living room someday. The answer is simple, laptop. All you need is to set it up once and then it can run headlessly and save your time. What about space? Small laptop won’t take much space and can be easily moved to another room if needed. Price is a tricky question, isn’t it? We don’t want to buy expensive data center for home security system, so we can take our old laptop and organize perfect video surveillance. You can use build-in camera or take another usb camera. Maybe you want something funny for your laptop video surveillance? 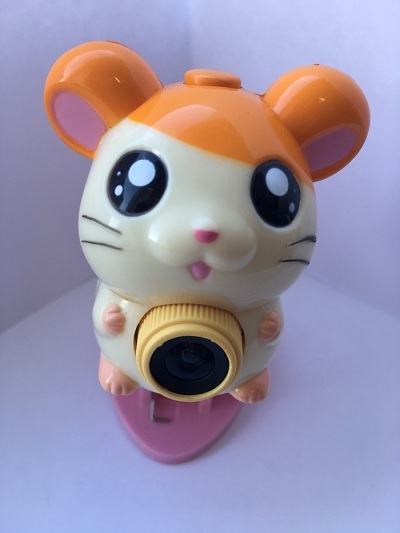 We are using this extremely cute hamster cam, which is super portable, thanks to the heart shape holder. Who can resist? Xeoma? Yes, please. A lot of modules in this program can be used for things far away beyond a simple laptop video surveillance. However, it isn’t about it now. We are going to set up our software to detect motion and write it straight to the archive (if we use free version). Maybe you want to know who threw garbage every morning on your backyard. Motion detector will detect the intruder and Xeoma will write video with this funny racoon straight to your archive. We can also set up software to detect motion and perform a series of actions based on it (if we use commercial version). Xeoma can take a shot every time the motion is detected and send to your email crystal clear photo of the intruder. Gotcha! Now you can use these basic components and create up-to-date laptop video surveillance!